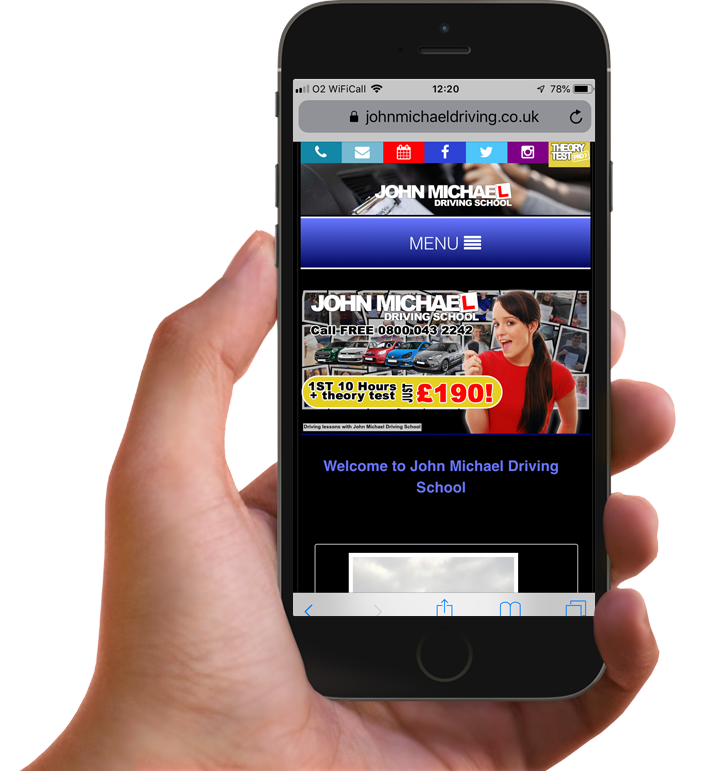 With the constant changes in both hardware and software, it's important that mobile sites are kept up to date. I have developed this dedicated site so any changes are loaded automatically for every customer. • A custom anti-spam contact form that not only stops spammers, but which you can also edit by adding your own information requests e.g. do they want auto or manual lessons? What's their prefered lessons day or time? and anything you would like to ask. • You can now publish your terms and conditions on your site and then get your pupils' signature, using their finger or a stylus, straight from the site! You can add a passcode to make sure only visitors you know can use it and a copy is then automatically emailed, along with the terms themselves, to both yourself and the pupil for reference.